Not long ago, the Internet exploded when it couldn't decide whether a dress was black and blue or white and gold. 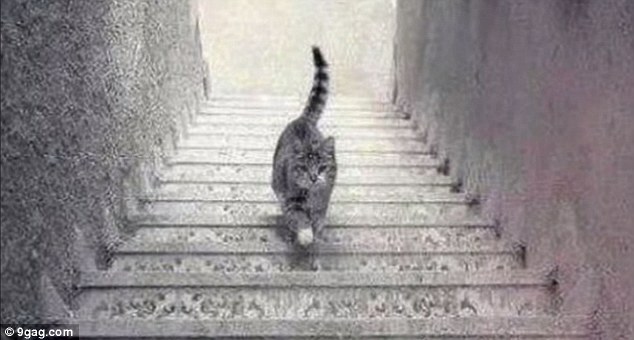 Is this cat going up or down the stairs? It's a question for the ages.